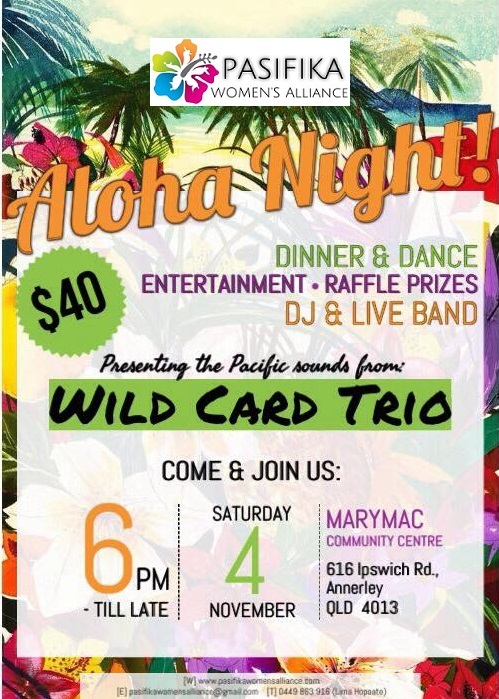 The PWA Aloha Night will be taking place this weekend at the Marymac Community Centre (616 Ipswich Road, Annerley). Unfortunately this event is CASH ONLY. There will be no ATM’s on site. The closest ATM will be located at Woolworths Annerley approximately 10 mins drive from the Marymac Community Centre. Previous Post PRE-SALE TICKETS CLOSING SOON!